Welcome to a great resource for all real estate information and services in the area. I hope you enjoy your visit and explore everything my realty website has to offer, including real estate listings in and around West Central Ohio , meet our sales team, information for home buyers and sellers, and community info to name a few. Like us on our Facebook page, we appreciate you visiting us. 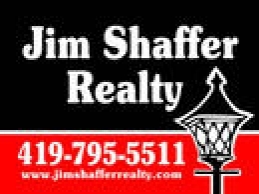 Put Jim Shaffer Realty to work for you, since 2003, "providing a service of fulfilling the All-American Dream, of owning a home".